Minister of Alberta Environment and Parks Shannon Phillips makes it her business to get to know her home town of Lethbridge by visiting the worksites, companies, employers, unions and workers who fuel the city’s economy. 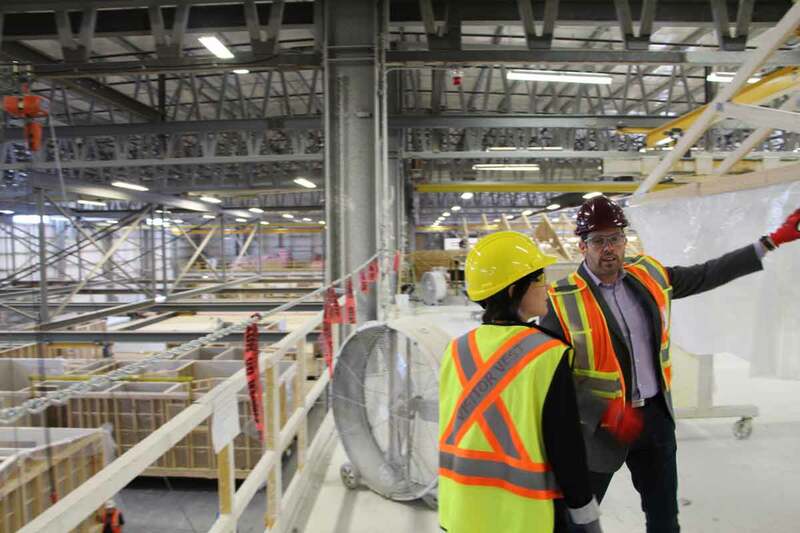 On Friday, March 16th, Minister Phillips was given a tour of the Lethbridge company’s 190,000-square-foot, state-of-the-art production facility. One of the larger private employers in Lethbridge, Triple M runs a union shop and employs skilled, motivated people from Local 2010. “I was thrilled to see their innovation, their commitment to employees, and their genuine excitement about energy efficiency,” Minister Phillips said. Since it began in 1981, modular homebuilder Triple M Housing has built over 18,000 homes in Western Canada. The company committed long ago to providing a positive work environment that develops, pride, personal growth and a high level of professional integrity. And Minister Philips witnessed the results of Triple M’s commitment first hand.